Shiogama Shrine is hosting an evening hanami-illumination event on Friday, April 13th and Saturday April 14th, extending from 6:30 PM to 8:30 PM on the shrine grounds. 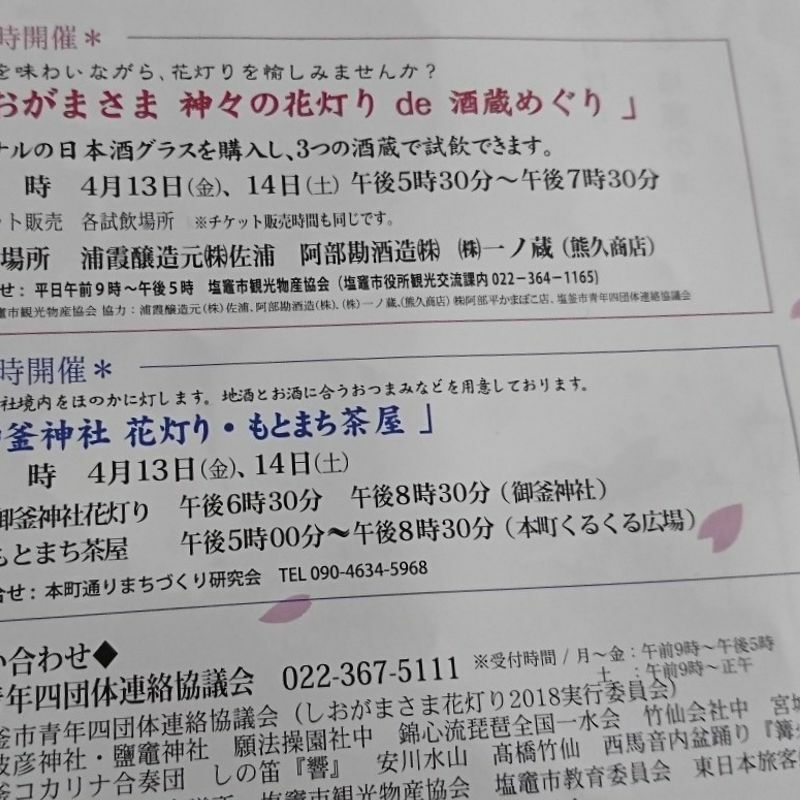 According to the website, last year's event included not only well lit sakura trees but also a sampling of locally brewed sake tasting for a small fee, paid in advance at one of the breweries or the Shiogama regional goods shop near the station. 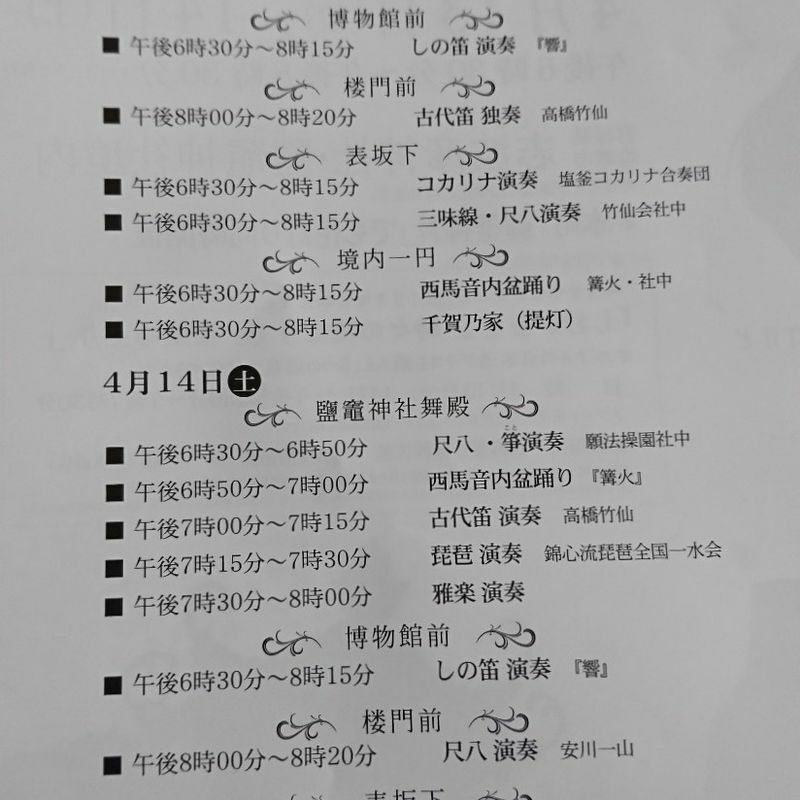 According to this flier I picked up at Honshiogama station, that is expected to be duplicated this year, including 3 different local sake breweries in the process. The drinking event starts and ends an hour earlier than the free Shrine-based event. One of the stages for the upcoming event. 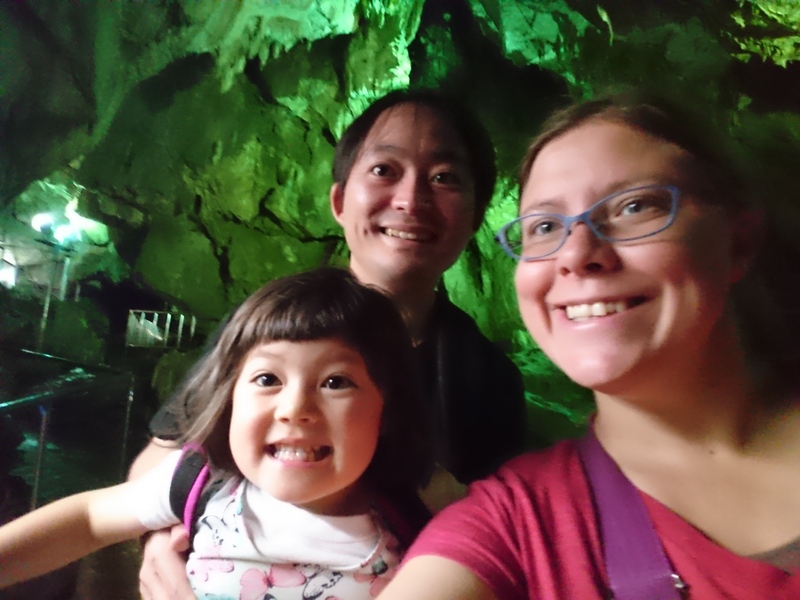 Last year I did not hear about the specifics of this event beforehand and would not likely have been able to go anyway, as an evening like that isn't always in the budget monetarily or energy-wise when you're working and raising a child. That said, we did happen upon a poster advertising this event before its occurrence in 2014, when my brother was in town and my daughter was small. Given the excuse of having to show the town off to my family, I found the energy to walk around on that the beautiful evening and the results were magical. Like this but a few weeks later and in the dark, with the haunting melodies of live koto performance pulling you back in time as you witness the spotlit beauty of the sakura. Unfortunately, my pictures from the event were eaten by time and ill-conceived data retrieval, but what I can remember from it was quite worthwhile. Guests who are interested need only walk to the shrine to enjoy the evening. 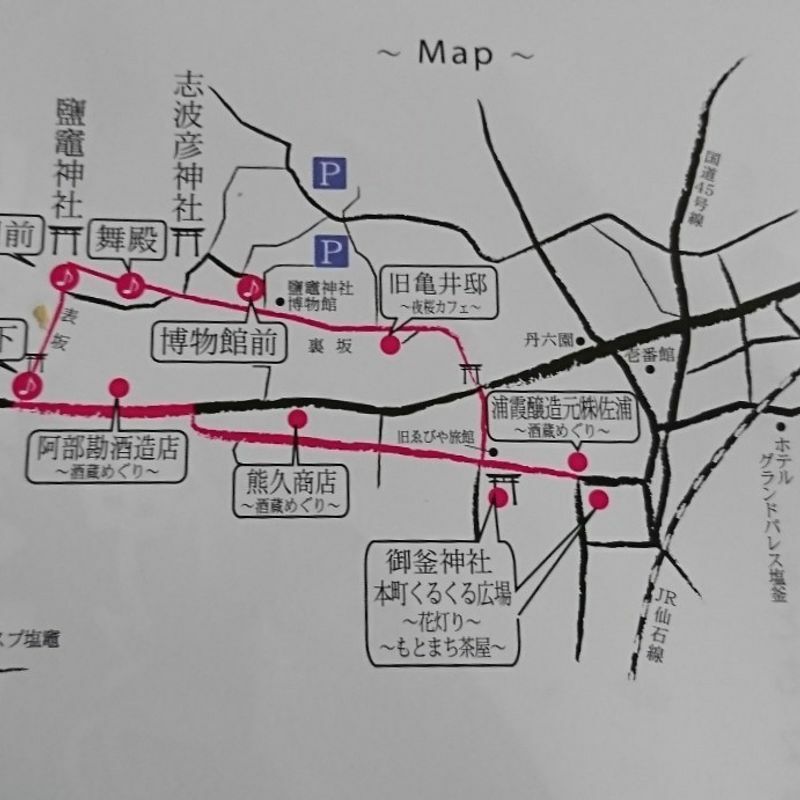 As this map that came on the back of the flier indicates, there are four stages that will have active perfomances through the event. 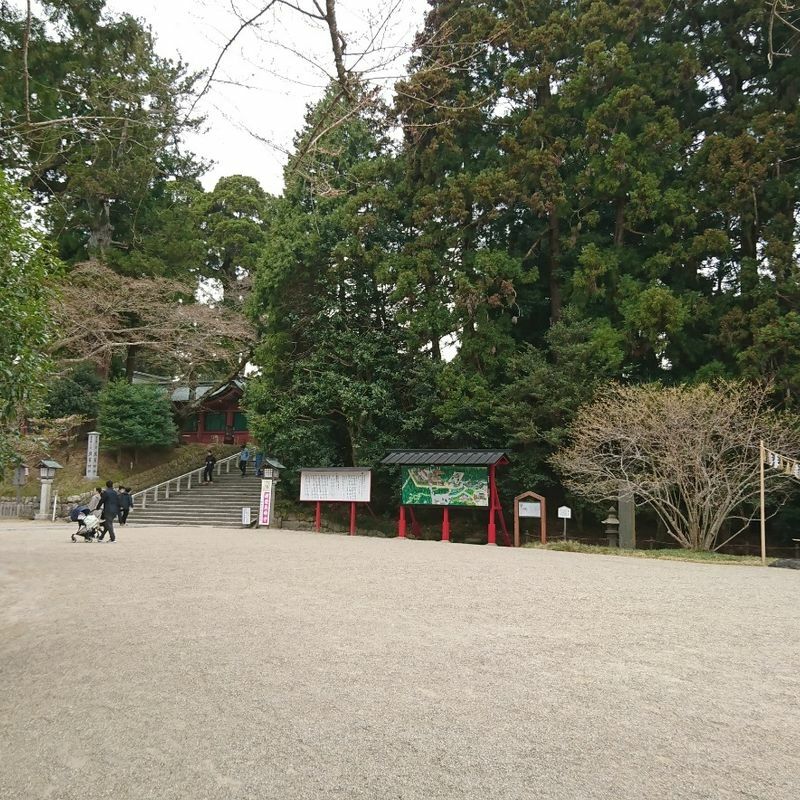 The first stage is right at the main gate, in front of the 202 step stone staircase that comprises the primary entrance to the shrine facility. 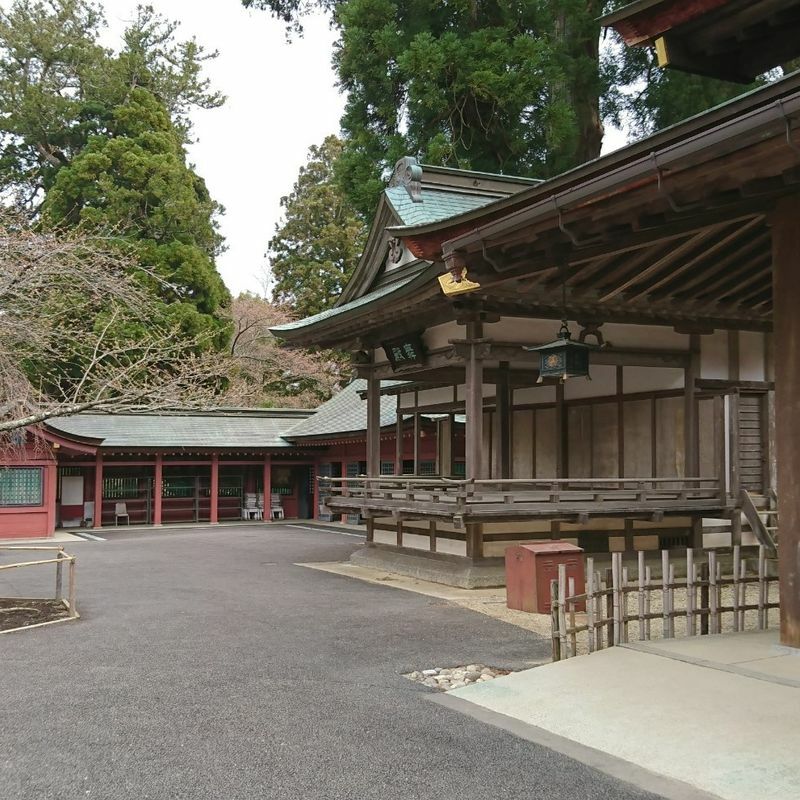 Two more are located within the shrine itself while the last can be found in the open space pictured earlier in this blog post, situated between the main shrine area and the gardens that overlook the hanami/picnic area. The program listing as provided by this year's flier, featuring a number of performances including a variety of traditional flutes. Attendance alone is free, though making a donation to the organisation that supplied the lights is recommended and previously the jars to accept these donations could be found at a folding table located near the fourth stage, where a volunteer was also handing out electric lanterns to help guide visitors along the paths. These lanterns were rentals, though, and we had to return them intact before leaving the grounds. If available, the lanterns will likely be intended to be used and returned in the same fashion they were all those years ago. 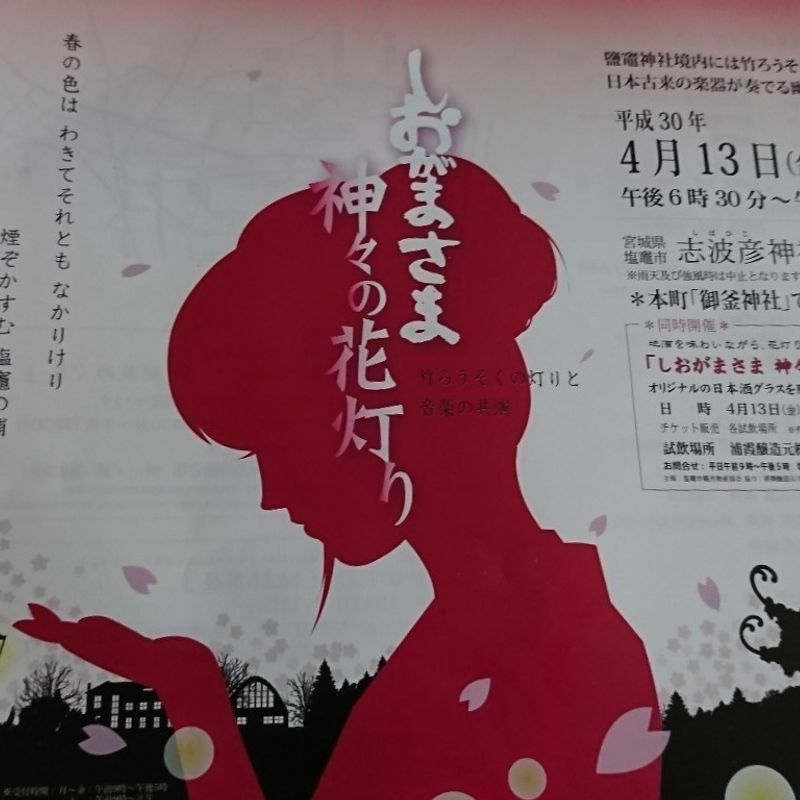 So if you want to see some lovely sakura in bloom in the evening, this is the event for you. Just follow the Senseki line from Sendai to Honshiogama Station (30 minutes, 320 yen) and then follow my directions from this blog post. Soon you will likely find yourself enchanted with the beautiful setting and delightful musical performances.